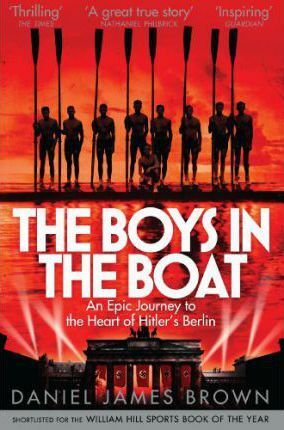 Shortlisted for the William Hill Sports Book of the Year, this is the bestselling story about a rowing team's quest for Olympic gold in Nazi Germany. Cast aside by his family at an early age, abandoned and left to fend for himself in the woods of Washington State, young Joe Rantz turns to rowing as a way of escaping his past. What follows is an extraordinary journey, as Joe and eight other working-class boys exchange the sweat and dust of life in 1930s America for the promise of glory at the heart of Hitler's Berlin. Stroke by stroke, a remarkable young man strives to regain his shattered self-regard, to dare again to trust in others - and to find his way back home. Told against the backdrop of the Great Depression, Daniel James Brown's The Boys in the Boat is narrative non-fiction of the first order; a personal story full of lyricism and unexpected beauty that rises above the grand sweep of history, and captures instead the purest essence of what it means to be alive. Mitchell Zuckoff, author of Lost in Shangri-La and Frozen in Time.